1. 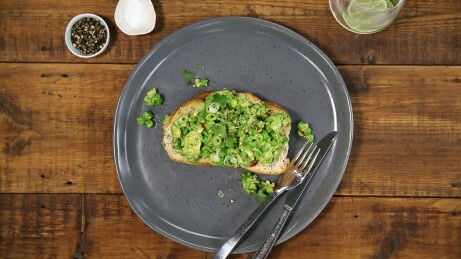 Mix together cooked peas, lime juice, garlic, olive oil and salt, and mash the peas with a fork fairly well. 2. Add cubed avocado and mash together until mostly blended with some chunks still remaining. Add chilli and onion and mix through. 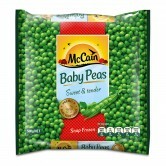 1 Mix together cooked peas, lime juice, garlic, olive oil and salt, and mash the peas with a fork fairly well. 2 Add cubed avocado and mash together until mostly blended with some chunks still remaining. Add chilli and onion and mix through.